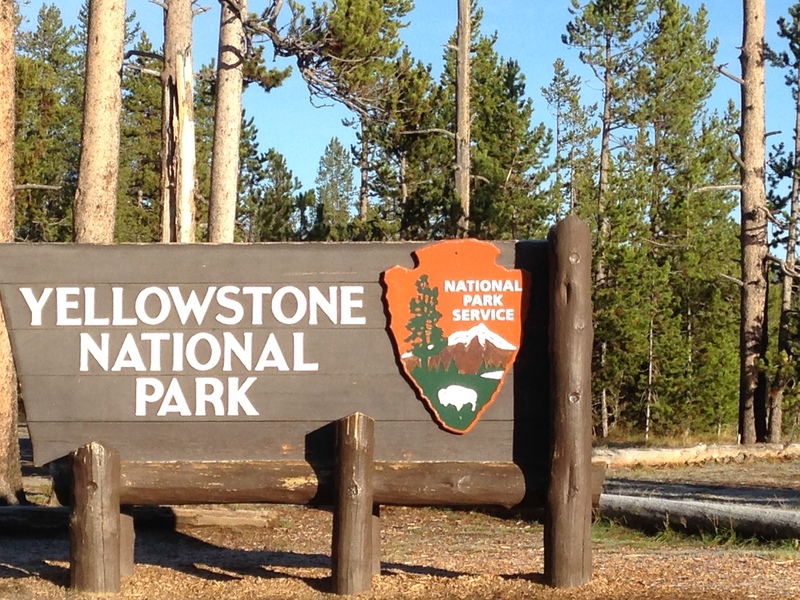 After entering the east entrance of Yellowstone and watching my car thermostat plummet from 44 in Cody to 23 somewhere way above Yellowstone Lake, I wasn’t quite sure I was up for the next bend in the road. 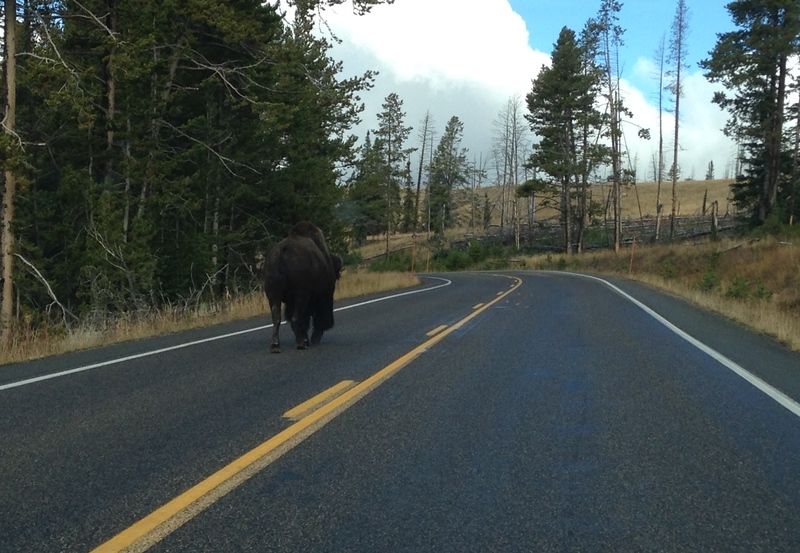 The bend offered up a Bison in the adjoining lane. Lumbering along he made his way as though in England, driving on the opposite side of the road. I slowed, dropped my jaw, and then cautiously preceded.